And so it was last Sunday as we travelled to Oamaru we looked out in delight at the beauty of Waitata and thought about the immortal words my grandmother used to sing (in the style of the late John Clark/Fred Dagg), “We don’t know how lucky we are”. Trish Harrison-Hunt and I felt lucky indeed to be in the company of the whānau at Te Whare Koa community marae. They have been funded by Te Pūtahitanga for their initiative, Ruia and our visit together, was to take part in the very first moments as they set off to turn the soil, preparing for their initiative to become fully bedded in. It is an initiative which is driven by and for the mokopuna. Let’s grow a garden for the kids. How about companion planting? (growing plants together like silverbeet and roses – which grow well together). What about heirloom seeds? Heritage plants? Hydroponics? Raised gardens? The kōrero was fast and excited as the whānau brainstormed how they could build a garden and grow their families. This is an initiative which is over-brimming with energy. Faced with the prospect of a bill of $10,000 to demolish the old dining room, Joe and his dad took the challenge on – for just $261! There’s nothing holding them back….. The next day Pari Hunt and I were back behind the wheel again, this time driving up to Kaikōura for a community wide discussion about the merits of the proposed Children’s Team. There was a lot of discussion about how to ensure the influence of the local people was maintained while operating under a national template for coordinating and responding to issues impacting on the wellbeing of our mokopuna. Let’s say the jury is still out as to whether the whānau of Kaikōura will take it on. 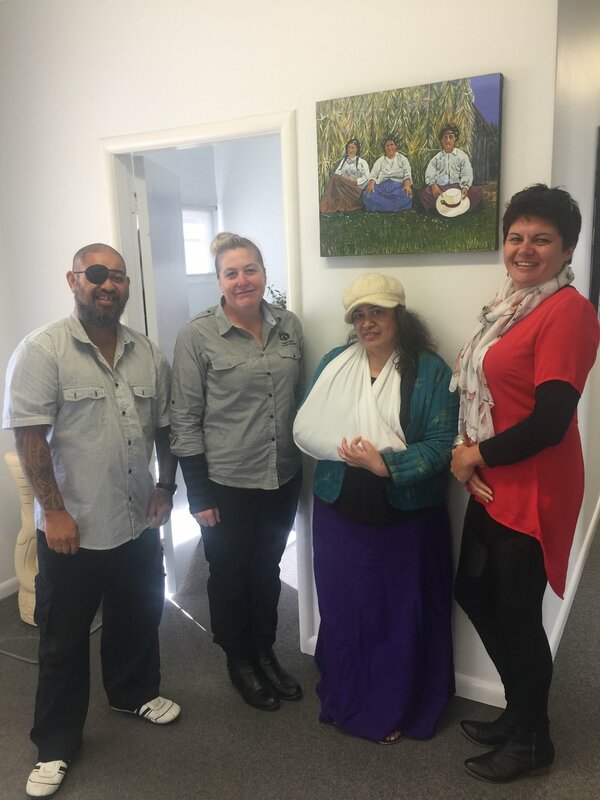 Meanwhile Gina-Lee and Maania were meeting up with Jarom Hippolite and Maria Buschling from Ngāti Koata. The Ngāti Koata Trust seeks to develop a virtual map (database) recording iwi sites of significance. The cultural mapping initiative, Whakamaheretia te Mātauranga, involves recording, mapping and transmitting their traditional knowledge. The initiative provides an opportunity to develop a virtual map of the history, stories and traditions of the iwi for future generations. During the same visit Gina-Lee and Maania caught up with some of the descendants of Rihia and Huria Hemi. The whānau have a dream that together, as whānau, they will learn the fundamental understandings of rongoā Māori including karakia, ngā atua, whakapapa, mauri, taha wairua, taha hinengaro, taha tīnana, mirimiri, romiromi, keke pōhatu etc. All of the tamariki will attend the hui and wānanga. The initiative is to enable whānau to share and trade resources rather than relying on money. One of the greatest gifts of kindness we in the Te Pūtahitanga team receive, is when whānau invite us in to share their aspirations and moemoeā with us. It is such a great privilege to listen and learn; to hear the messages of the tupuna being passed down through their descendants. I had such a great afternoon this week, touring Te Pa o Rakaihautu in Christchurch. Te Pā o Rākaihautū opened with 75 students years 1 - 10 in January 2015 and in their third year they are now at 215 students years 1-13 with another 10 new entrants scheduled to arrive throughout this year. It is a remarkable reflection of the way that whānau right across Ōtautahi have responded to the potential that the kura represents, to take on board a whānau-ready, education approach to meet the needs of our future. I watched Year seven and eight children playing ‘Rich Pa, Poor Pa’ engrossed in the game of Cashflow. There was a young dad, taking some of the kids under his wing as they worked in the garden. Kōhanga babies were creating paper mache palaces; I gazed in amazement at the dance studio with wall-long mirrors and a custom-made floor. But most of all it was obvious how much everyone loved being at school: kaiako, whānau, tamariki, myself – that’s exactly how learning should be – I found it hard to leave! I attended a national Chief Executive Forum this week, to catch up with research and latest trends about how best to improve performance and respond to the diverse needs of our communities. A key theme in the conference was to emphasise that by far the largest population in the world is Generation Z : over two billion people under 19 years. That cohort should be redefining the way we work, act, create. In the last 15 years 52% of the top Standard and Poor companies have disappeared. We ended the week at Te Tomairangi Marae in Bluff, at the Murihiku round of the Tū Pono consultation hui. 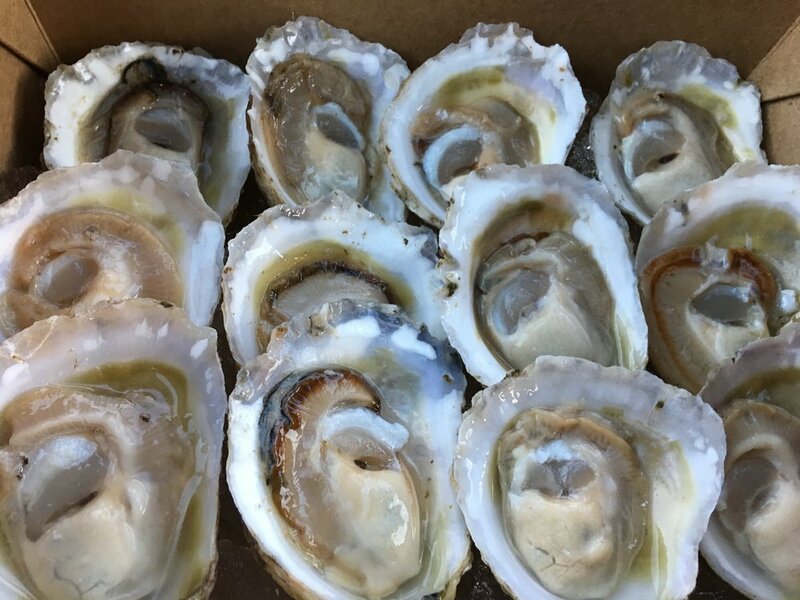 We dined like kings and queens on the feast provided for us by none other than Koha Kai: one of the initiatives we invest in led by super-entrepreneur, Janice Lee. With Donovan Clark (Board Director for GPL); Amanda Malu (Chief Executive of Plunket / Ngāi Tahu) . Whaea Tariana Turia was our keynote speaker, encouraging us to ‘heal the wairua’; to listen to the voice of whānau and not try to drown it out with our own. She reminded us how hard it can be for whānau to speak up and be heard and that we should never get so carried away with our own well-intentioned advice, that we forget to listen to the story coming through. One of the woman at the hui told us of an exercise she’d been through in a training workshop, where everyone was asked to form a group with people they didn’t know and then share their sexual experiences. As the groups floundered in a sea of awkward embarrassment and anxiety, the person leading the workshop asked them to think about how they felt. That feeling they were all experiencing was the same feeling members of whānau will go through, every time they are asked to share their souls with complete strangers. Kā pū te ruha; kā hao te rangatahi! Your time is now. Be the Future. Lead the Future. Applications open for those aged between 18 – 25 years. Nominate yourself! A friend! A niece, nephew, cousin, mokopuna. Wednesday 24 May: Sexual Violence Prevention hui, 10am-1pm : Otago Golf Club, Dunedin. June 2-5: The next Manawa Hou hīkoi (Ngāi Tahu) is hosted by Kāti Huirapa ki Arowhenua Papatipu Runanga. Just to leave a sweet taste in the mouth, sharing our lunch from yesterday…..